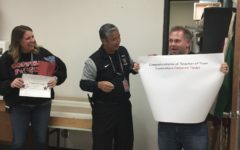 On Wednesday morning, Coppell High School Special Ed Teacher Melissa Murray is announced as the 2018-2019 Teacher of the Year in the arena. Murray, with CHS Principal Dr. Nicole Jund, has been in the district for 20 years and has been teaching at the CHS for 13 years. 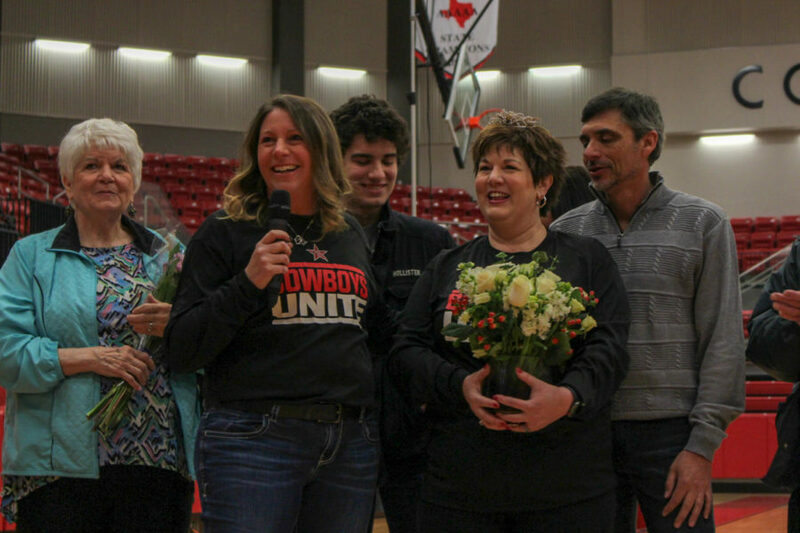 Utter surprise and joy overcame Coppell High School Special Education teacher Melissa Murray this morning as her name appeared on the arena jumbotron as year’s Teacher of the Year. The CHS arena roared with applause and excited hugs in celebration for Murray, who was one of 10 nominees for the distinguished award. 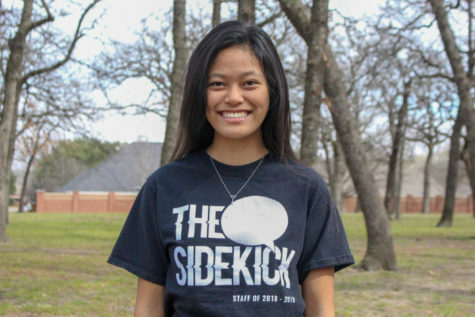 After a nearly two month process, CHS administration is confident in its selection for the recipient this year. 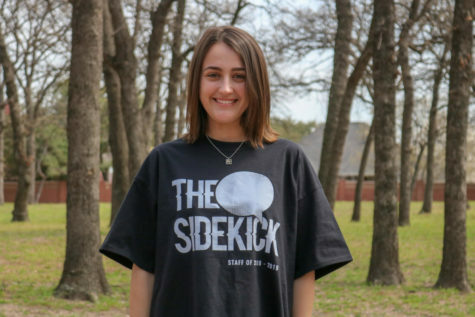 “Just the why behind what she does in the classroom, the selfless nature of her work, her commitment to her kids, and building connections for her kids,” CHS Principal Nicole Jund said. 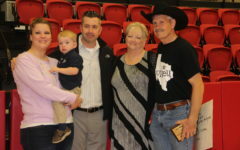 No stranger to Coppell ISD, Murray has taught for 20 years and at the high school for 13 years. Her open and collaborative method of teaching is known by those around Murray, who equips her style of teaching with a certification in seven various subjects ranging from Resource Math, Co-taught Physics, Algebra II and Geometry. 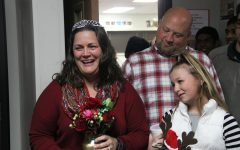 Murray remains modest to her accomplishment despite being showered by proud smiles and adoration from close friends, colleagues and loved ones. “We don’t need recognition but it’s nice that something like that happens. It makes you feel like what you been doing matters,” Murray said. Murray sees teaching as nothing but a job that needs to be done. “What we all want to do is be the best for our kids and just be the best versions of ourselves for them,” Murray said. 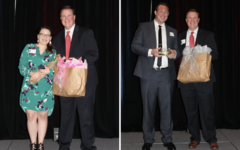 Along with Murray, CHS teachers John Watkins, Malloy Phillips, Michael Brock, Melissa Alexander-Blythe, Kristin Davis, Evan Whitfield, Cameron Tiede, Don Kemp and Angela Barnes were nominated for this year’s Teacher of the Year.